Physical rehabilitation aims to restore, maintain, and improve a patient’s function and quality of life. Rehabilitation is often used after orthopedic injuries/surgery, neurological injury, and to manage chronic conditions such as arthritis. Range of motion, proprioception and balance, strength and Pain Management are areas that can be addressed. 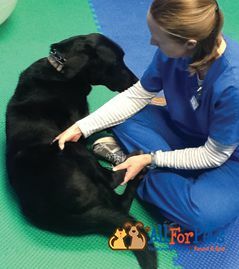 Rehabilitation therapy is an important aspect of your pet’s recovery from surgery and/or coping with chronic aging problems. 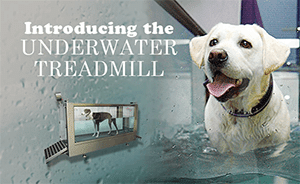 The most important goal is to increase and maintain your pet’s quality of life. Range of motion (ROM) exercises are the most basic part of a rehabilitation plan. The goals are to increase and/or maintain joint ROM and maximize muscle flexibility. These exercises are done either passively or actively. Passive ROM exercise – The owner moves the joint through the pain-free range of motion. This is done without muscle contraction. 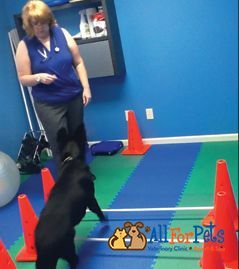 Active ROM exercise – This puts joints through range of motion with active muscle contraction. Examples include: cavaletti poles, climbing stairs, walking in water, sand, and grass. Proprioception is awareness of body position. 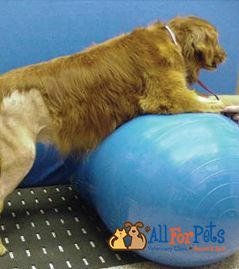 Proprioception and balance can be diminished following surgery or can decline over time as the patient ages. Exercises to improve can be achieved with balance boards, exercise balls, and weight-shifting drills. This exercise plan can provide a good foundation for increasing function, strength, joint mobility, and limb use. Strengthening exercises can be added after a solid base of ROM, consistent limb use, proprioception, and balance has been established. Exercises include walking up and down an incline, climbing stairs, dancing, swimming and pulling/carrying weight. We now have a Stance Analyzer. 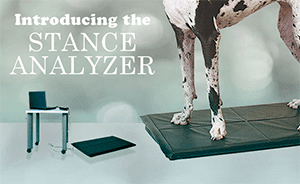 This allows us to accurately measure weight distribution and how much weight each leg is bearing. 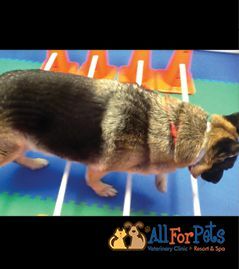 We can then monitor your pet’s progress alongside their strengthening exercises. 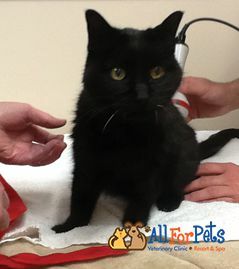 We offer Laser Therapy using a Class 4 Companion Animal Laser. 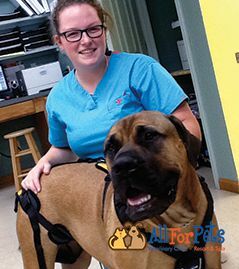 Laser Therapy is another ‘tool in the toolbox’ to addressing pain and inflammation. It is a wonderful service in helping Post-Surgery patients and patients with Chronic Arthritis, among other conditions get the relief they need. Also, it feels great!